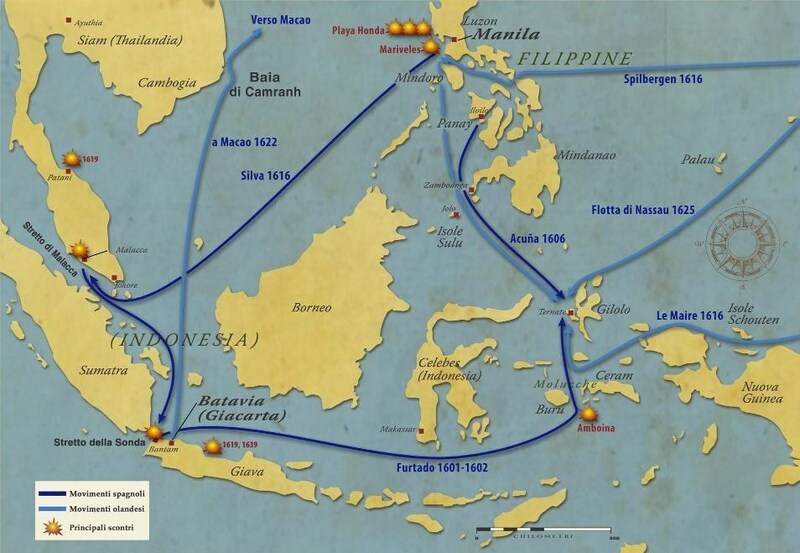 By 1601, there were eight private Dutch companies, with a total of sixty-five ships, frantically vying with one another to buy up commodities in the East Indies. Initially reaping immense returns, the Dutch merchants quickly found that competition among them was driving up prices and threatening their profits. At the same time, Dutch vessels were subject to raids by pirates, enemy warships, and privateers. Moreover, unlike Spain and Portugal, the Dutch had no collective, sovereign armed presence in Asia, Africa, or the New World. In the East and West Indies, Spain and Portugal had conquered peoples and colonized lands, a convenient means of extracting raw materials for commerce. The Dutch merchants saw these advantages and took a lesson from them. In 1602, a collaboration of Dutch merchants, burghers, and ministers established the East India Company, a joint-stock trading monopoly armed with sovereign powers. The East India Company could conduct diplomacy, sign treaties, form alliances, maintain troops, install viceroys, and make war. All of its agents, whether naval commanders or expatriate governors-general, had to swear double oaths of alliance to the company and to the States General of the United Provinces. The composition of the founding investors of the East India Company was striking. In the most important Amsterdam chamber, there were more than a thousand initial investors, eighty-one of whom provided about half the total capital. Of these eighty-one “chief investors,” roughly half were wealthy Protestant refugees who had fled Spanish persecution, and roughly half were native Hollanders. The former group, which contributed significantly more capital, included famous Antwerp merchant-banking families such as the Bartolottis, Coymans, De Scots, and De Vogelaers. The native Hollanders, who were less wealthy (at least initially) but more politically influential, included Gerrit Bicker, son of a brewer, Reinier Pauw, son of a grain trader, and Gerrit Reynst, son of a soap boiler. All these men made immense fortunes in long-distance commerce. There were also three chief investors who were immigrants from Germany, including the magnate Jan Poppen, whose family by 1631 was the single wealthiest in all Amsterdam, followed by the Bartolotti and Coymans families. Although Holland’s towns were typically ten to twenty percent Catholic, all the chief investors of the East India Company were Protestant. The early 1600s saw a burst of Dutch commercial and colonial expansion all over the globe. In 1605 the Dutch seized the Indonesian Spice Islands from the Portuguese. In 1610 the East India Company installed its first governor-general in Java, as well as trading posts on the neighboring islands of Ternate, Tidore, Amboina, and Banda. In 1619, the Dutch captured Jakarta and, renaming it Batavia, made it the company’s new headquarters. Over the same period, the Dutch replaced the Portuguese as the dominant power on the West African coast, taking over the region’s gold and ivory trade. Even more dramatically, between 1599 and 1605 the Dutch sent 768 vessels to the Caribbean and the shores of northern South America-formerly Spain’s stranglehold-successfully procuring large quantities of salt, tobacco, hides, sugar, and silver bullion. Meanwhile, back in Europe, the long Dutch struggle for independence from Spain (lasting from 1568 to 1648 and known as the Dutch Revolt or the Eighty Years’ War) stretched on, with increasing victories for the Dutch. Fueled by the economic explosion, the Dutch adopted a series of military reforms soon copied all over Europe. Troops were paid regularly. More powerful weaponry was introduced and ammunition standardized. Battlefield training and techniques were revolutionized; soldiers, for example, were drilled to load and fire in synchronized fashion, allowing continuous vol- leys by successive lines of infantry. 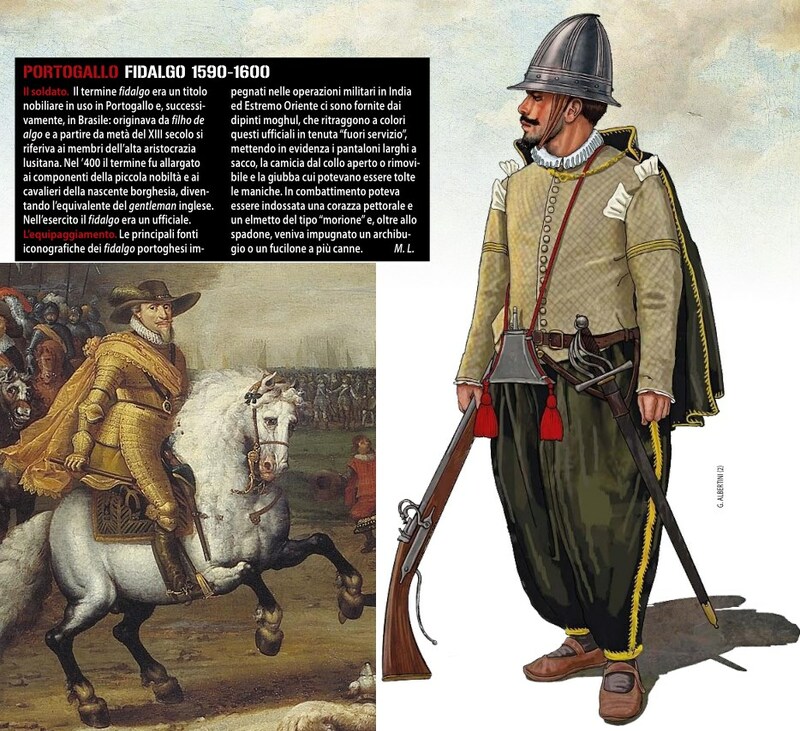 Dutch battlefield superiority grew so pronounced that in the Battle of Turnhout in 1597 an estimated 2,250 Spanish soldiers were killed, while the Dutch may have lost as few as four men-or, at the highest estimate, one hundred. 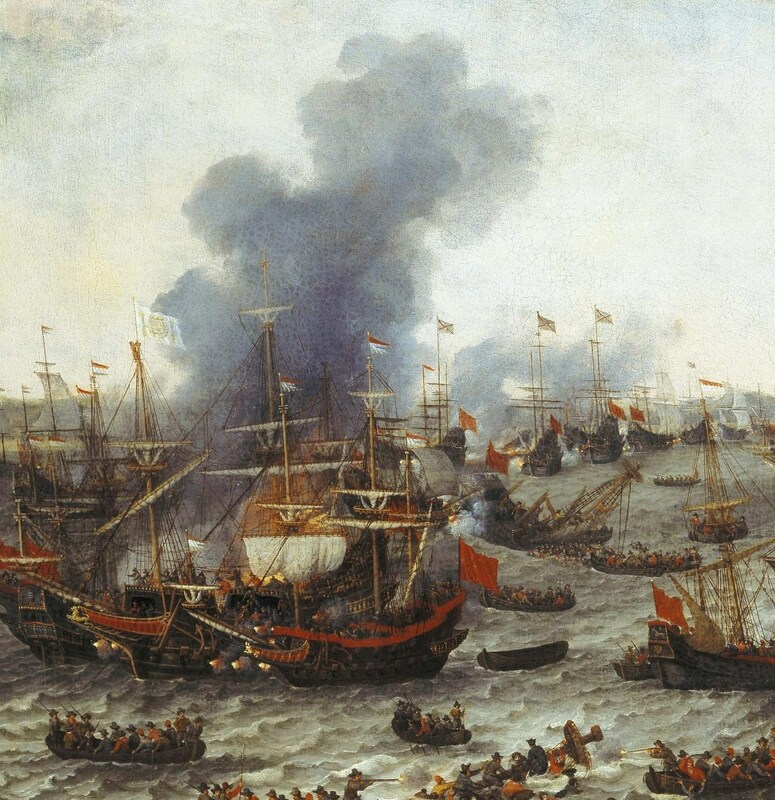 In 1607, Dutch warships crushed the Spanish in the Bay of Gibraltar, their own backyard. In 1609, Spain signed the Twelve Years Truce with “the Dutch rebels,” allowing Dutch ships once again to enter the ports of Spain, Portugal, and Flanders and to ply international waters without fear of attack by Spanish warships or privateers. Dutch freight and shipping insurance charges immediately plunged. Dutch profits soared to new heights, and the republic’s commercial ascendancy over the Baltic, Mediterranean, and northern European trade reached its zenith. When the truce expired, Spain did not renew its terms. In 1621, war resumed and Spain reimposed its embargo. The same year, the Dutch West Indies Company was officially created, and Dutch colonization in the New World took off. By the 1630s, the Dutch had wrested from Portugal almost the entire sugar trade between Brazil and northern Europe. In 1634 the Dutch captured Curaçao from Spain and established a permanent base in the Caribbean. By 1648 the Dutch flag flew over Aruba, Bonaire, half of St. Martin, and the other islands collectively known today as the Netherlands Antilles. Meanwhile, back in 1609, Henry Hudson, an Englishman hired and provisioned by the Dutch, had claimed much of New York State on behalf of his new employer. By the mid-seventeenth century, the Dutch, from bases in New Amsterdam (now Manhattan) and Fort Orange (now Albany), controlled North America’s lucrative fur trade. Like the East India Company, the Dutch West India Company was founded in large part by immigrants who fled to the Dutch Re- public because of its relative religious tolerance. Again, these included many wealthy Protestant refugees-indeed, the West India Company was far more belligerently Calvinist than its East India counterpart. On the other hand, whereas Jews played a relatively small role in the East India Company, they figured much more prominently in the activities of the West India Company. 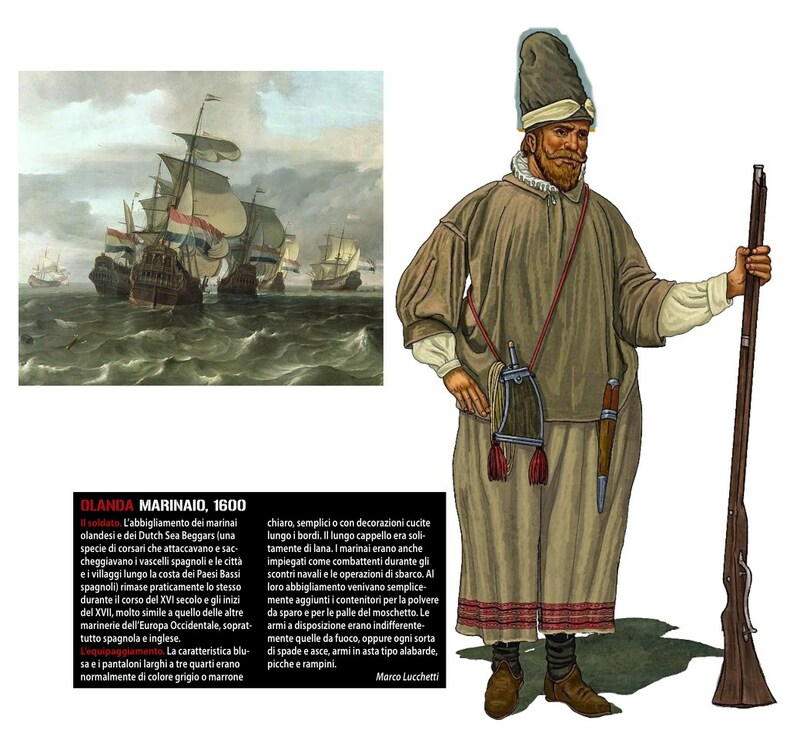 With their fluency in both Dutch and the Iberian languages, as well as their long-standing expertise in trading sugar and other tropical raw materials, Holland’s Sephardic Jews were particularly well suited to serve as Dutch colonists in the West Indies. By 1644, Dutch Jews represented approximately one-third of all the white civilians in Netherlands Brazil. Dutch Jews also helped colonize Guyana, Barbados, Martinique, and Jamaica, as well as smaller islands like Nevis, Grenada, and Tobago. The largest and most important Jewish colony in the New World was Curaçao, followed by the five-hundred- person Sephardic community in Suriname, which by 1694 owned forty sugar plantations and nine thousand slaves. 326,73372 Amsterdam pounds of Malacca pepper; 297,446 lb. of cloves; 292,623 lb. of saltpetre; 141,278 lb. of indigo; 483,082 lb. of sappan wood; 219,027 pieces of blue Ming ware; 52 further chests of Korean and Japanese porcelain; 75 large vases and pots containing preserved confections, much of it spiced ginger; 660 lb. of Japanese copper; 241 pieces of fine Japanese lacquer work; 3,989 rough diamonds of large carat; 93 boxes of pearls and rubies (misc. carats); 603 bales of dressed Persian silks and grosgreins; 1,155 lb. of raw Chinese silk; 199,800 lb. of unrefined Kandy [i. e., Ceylon] sugar.